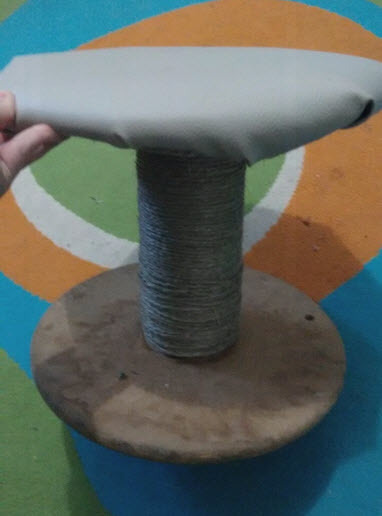 Turn an empty wood spool into a perch and scratching post for your cat! Get a small industrial wood spool. Put a piece of foam padding on top of the spool, lay a circle of fabric over the padding, then fold the edge of the fabric under the lip of the spool and staple it in place. Wipe the center post of the spool with glue, then wrap sisal rope around it.